Yesterday I arrived in Dublin, Ireland. I had a fun day though I have to admit, Dublin will not go down as one of my favorite cities. It’s not a bad city, it’s just, well…a city, like any other city. Loads of people, tons of shops and lots of hustle and bustle. What I enjoyed most, other than the delicious Guinness I had in the bar, was all the street musicians. Oddly enough, they were all singing American songs. Yes I did come here to listen to and learn traditional Irish music but I couldn’t help myself when I heard the words to I’m Yours, I had to stop and listen and then do the touristy thing and take pictures. I think the city might have been more interesting to me if I could have stayed awake past 7pm to get to the Irish sessions but because it was my first day here and I hadn’t slept in over 24 hours I needed to get some shut-eye. Today, I head to Donegal and then to this tiny town in the northwest corner, called Glencolmcille, where I’ll be spending the week learning Donegal fiddle music. Loved the post. I believe you nailed Dublin. Grafton Street, Saint Andrew’s Park and Guinness. There you have it. Folks in Dublin love American music. They can hear Irish music “anytime” but a good Eagles tune or the likes is exciting to them. 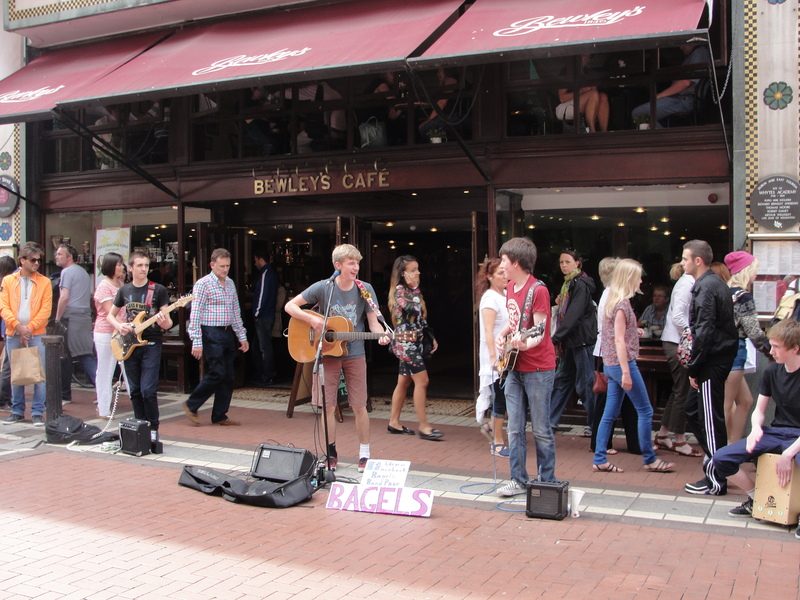 You need to get away from Dublin if you want to hear the indigenous music of Ireland. The West coast is what I feel the “magical” area of Eire. I hope you make it out that way. Hi Mike. I’m currently in the northwest coast and it’s gorgeous. Heading to Galway this weekend. Thanks for your comments! Ooops! I think that is St. Stevens not St. Andrew!